Texplainer: What's an Energy Capacity Market? Hey, Texplainer: There are discussions that Texas might transform its energy market, shifting from “energy only” to a “capacity” market. What does that mean, and why does it matter? Hey, Texplainer: I hear that Texas might transform its energy market, shifting from “energy only” to a “capacity” market. What does that mean, and why does it matter? Such questions stem from a broader one: Will Texas have enough energy to meet its future needs? That has been the biggest concern of electricity providers and regulators in recent years as the state rapidly grows and dry, scorching summers send air conditioners blasting and guzzling more power. The Electric Reliability Council of Texas, the nonprofit that operates the state’s energy grid, has forecast that the state’s reserve margin — the wiggle room between supply and peak energy demand — will steadily shrink in the coming years as demand grows and investment in new power generation fails to keep up. Texas’ record heat in 2011, a year when the reserve margin plunged far below the council’s target, only exacerbated concerns that the state might struggle to keep the lights on during particularly hot days in the future. Last year, grid operators released a report by the Brattle Group that said low natural gas prices, a more efficient generating fleet and a boom in wind power have combined to shrink the returns that power plants can expect for the energy they produce. As a result, the report said, power companies have built fewer plants that would help meet future electricity demand, which has increased at a rate of 2.3 percent since 2002. Such findings have triggered calls to change the wholesale energy market structure from its current “energy only” model to what is called a capacity market, a high-stakes proposition that has set off a contentious, highly technical debate. Essentially, these are questions about insurance: How much backup energy capacity should Texas have on hand for its hottest days, and how can it best maintain that cushion? Under the current setup, utilities are paid only for the energy they generate. In a capacity model, which is in use to various degrees in other U.S. markets, companies are paid for maintaining reserve capacity — costs that consumers bear. Shifting to a capacity market is one change that would allow regulators to mandate a reserve margin. ERCOT currently aims for a 13.75 percent margin, but that is a goal, not a requirement. The council projects the real cushion will shrink to 9.4 percent by 2018 and 4.5 percent by 2023. The state's Public Utility Commission has discussed these concerns for more than two years. In a nonbinding vote on Friday, the divided body decided to require a reserve margin. That move, observers say, is the first step toward shifting the market, though a final decision would take at least a year. “Adding a centralized forward capacity market is likely to be the best available mechanism for meeting this challenge,” Luminant, a giant energy generator, said in a recent filing with the utility commission. But critics of a market shift, including ratepayer advocates, libertarian groups and some big industrial energy users, say it would shift billions in costs to ratepayers and violate the free market spirit of Texas’ deregulated energy market. They say Texas could meet its reserve margin in other ways, such as boosting investment in concepts like "demand response," which involves paying electricity customers a modest amount to cut their usage at peak hours — for instance, allowing air conditioners to cycle off and on rather than always being on. Such programs are a growing trend in Texas, but they have not fully caught on. Some of those critics, including Commissioner Ken Anderson — who cast the lone vote against the reserve margin requirement — describe capacity payments as a subsidy for power generators. 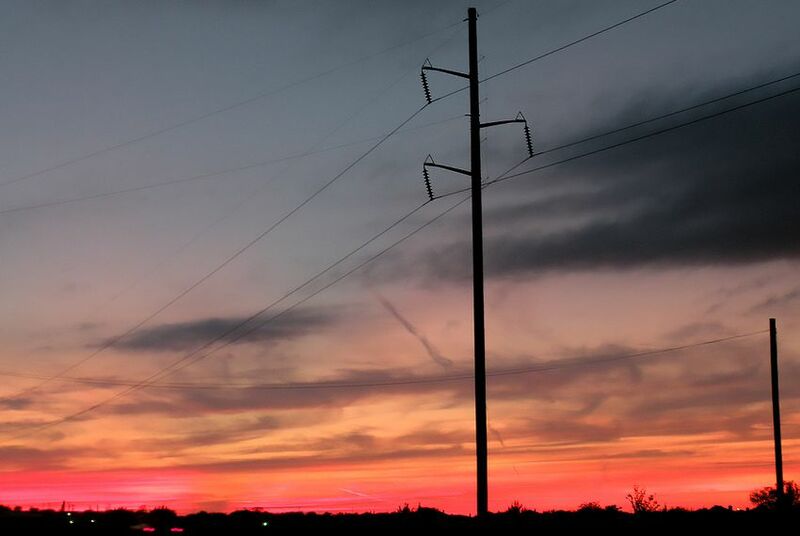 At a meeting last year, Anderson said he had calculated an added cost of $3.6 billion for ratepayers, using past Texas prices and data from the PJM Interconnection, a capacity market grid operator that operates in 13 East Coast and Midwestern states. Capacity market proponents, however, say that the switch would boost reliability, lowering the costs of outages, and that the shift would stabilize the market, lowering the costs of capital. The Brattle Group study said that price impacts would largely depend on how high regulators set the reserve margin, and that it would not necessarily increase rates. Advocates for the status quo say fears about running out of energy are overblown, and they point to issues with ERCOT’s forecasts. According to a recent analysis by the Texas Public Policy Foundation, a conservative think tank, nearly 80 percent of capacity, demand and reserves forecasts since 2008 have overestimated peak demand. As for the thin reserve margin during 2011, Peacock and his allies say the year was an anomaly that’s unlikely to repeat itself anytime soon. However, a recent study by John Nielsen-Gammon, the state’s climatologist, says that Texas is poised to be even hotter in the next few decades and that summers will have triple-digit averages. ERCOT has acknowledged shortcomings with its reports and plans to overhaul its methodology in the coming months. Meanwhile, the Brattle Group is expected to release an analysis of reserve margins next January. State Sen. Troy Fraser, R-Horseshoe Bay, who co-authored legislation that deregulated Texas' electric market in 1999, said regulators should wait for more information before solidifying their opinions. Bottom line: Switching to a capacity market has high stakes for electricity generators and ratepayers, but it is hard to estimate its economic impacts until regulators come up with a specific proposal — one that specifies a reserve margin, for instance. Meanwhile, upcoming reports on ERCOT's forecasting methodology and on possible reserve margins may help clear up some uncertainties and help shape the debate. Got a question for Texplainer? Email us at texplainer@texastribune.org.